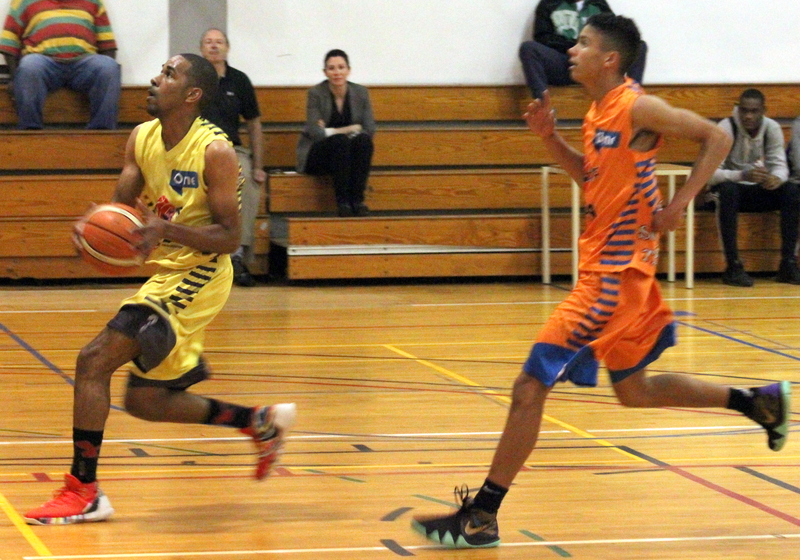 In Bermuda Basketball League sponsored by ONE Communications action inside the Bermuda College Gymnasium saw 277 points scored in a double header. Game 1 saw the Devonshire Chargers defeat the Southampton Wolfpack 62 – 49, Kevin Stephens would lead the Devonshire Chargers to victory with a Triple-Double, Stephens would score a game high 21 Points, he would also grab 12 Rebounds and dish out 10 Assists, he also had 3 Steals and 3 Blocked Shots, Jason Lowe would record a Double-Double for the Southampton Wolfpack, scoring 20 Points, grabbing 13 Rebounds, he also had 2 Assists and 2 Blocked Shots. Game 2 saw a total of 166 points alone as the Hamilton City Twisters defeated the Pembroke Skyforce 91 – 75, Kameron James would lead the Hamilton City Twisters with 28 Points, 6 Rebounds, 6 Assists and 2 Steals, while Jericho Tucker scored 24 Points for the Pembroke Skyforce, to go along with 4 Rebounds, 3 Assists and 2 Steals.